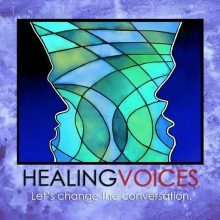 Healing Voices is a new feature-length documentary which explores the experiences commonly labeled as “psychosis” or “mental illness” through the real-life stories of individuals working to overcome extreme mental states, and integrate these experiences into their lives in meaningful ways. Oryx Cohen, MPA, one of the film’s subjects and producers, will be joining us on May 20 to give a keynote presentation at this year’s HOPE Conference. Written and Directed by PJ Moynihan of Digital Eyes Film, Healing Voices asks the question: “What are we talking about when we talk about ‘mental illness’?” The film follows three subjects – Oryx, Jen, and Dan – over nearly five years, and features interviews with notable international experts including: Robert Whitaker, Dr. Bruce Levine, Celia Brown, Will Hall, Dr. Marius Romme, and others, on the history of psychiatry and the rise of the ‘medical model’ of mental illness. The documentary is ideal for individuals with lived experience in the mental health system, educators, peer counselors, advocates, researchers, psychiatrists, psychologists, healthcare workers, first responders, family members, or anyone who has been touched by mental health issues in their life. 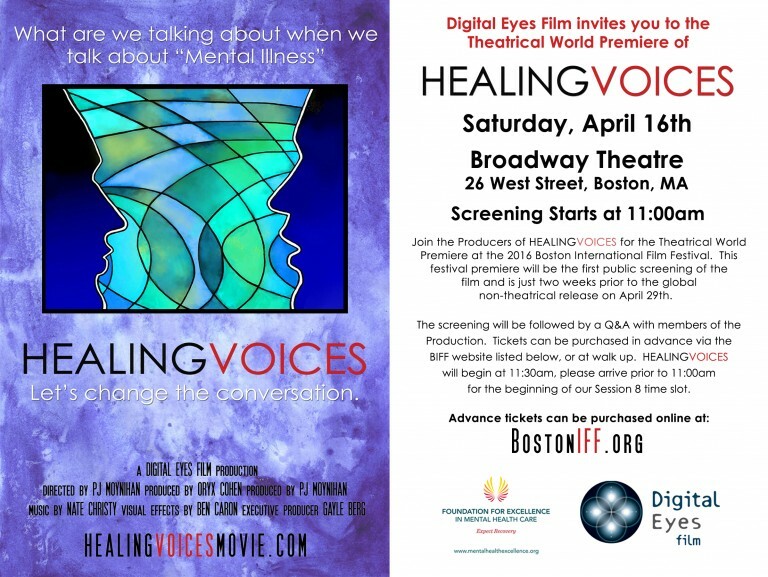 Healing Voices will have its World Premiere at the Boston International Film Festival on Saturday, April 16 at 11:30 am at the Broadway Theater, 26 West Street, Boston, MA. The trailer is available on YouTube, and a full scene has recently been released exclusively on Mad in America. Click here to get tickets and select “Session 8” for Healing Voices.